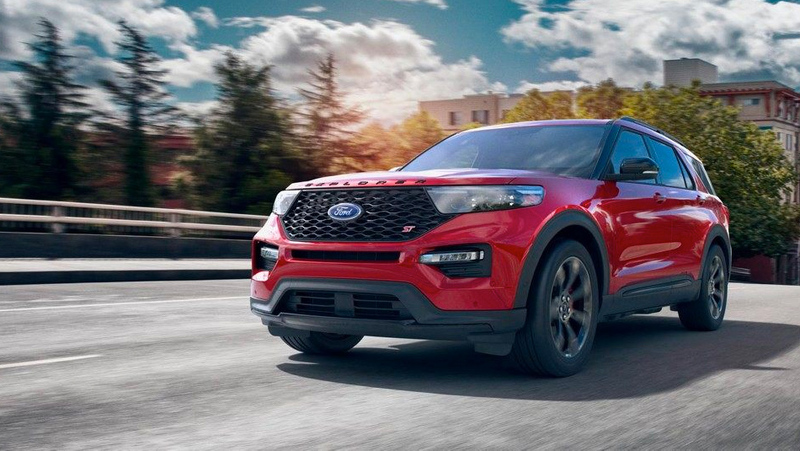 The 2020 Ford Explorer has been revamped, inside and out, creating a new version of one of Ford’s most enduring vehicles. 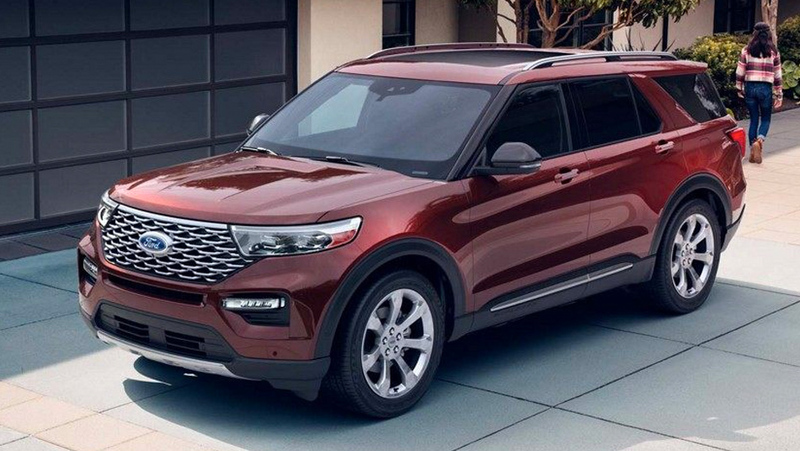 Outside, the 2020 Explorer is all business with its athletic and muscular silhouette. 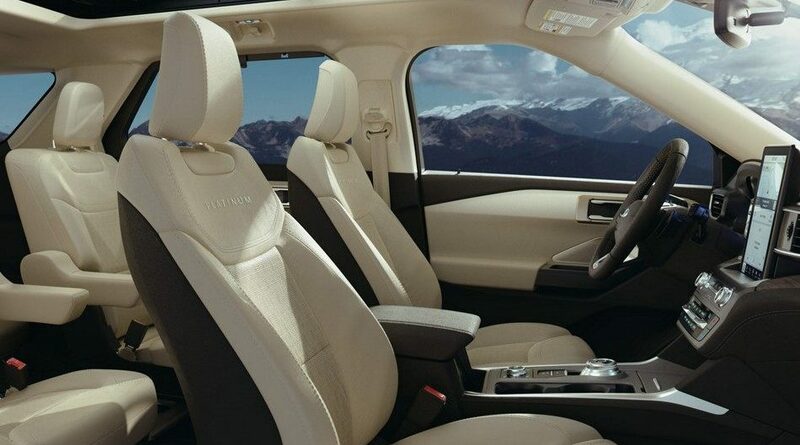 Step inside and experience a comfortable and stylish interior, with more space and cargo capacity than ever before. EZ-Entry captain’s chairs in the second row, standard dual-zone electronic temperature control, and more, make every ride one you won’t want to end. You’ll also find SYNC 3 standard on all models, while higher trim levels offer a unique, 10.1-inch centre stack-touchscreen and available wireless charging stations. The 2020 Explorer’s interior has been upgraded with both comfort and ease of use in mind, so your focus will be entirely on the Explorer’s smooth drive and not the intuitive interior tech. A rotary gear shift dial provides the easiest way to shift gears in a Ford ever, similar to how the rotary dial allows you to shift through the options provided by Ford’s Terrain Management System, ensuring that no weather or road conditions will slow you down. Fold-flat captain’s chairs in the second row, as well as the optional 50/50 third row, create up to an incredible 2,486 litres of cargo space—and that isn’t even counting the 123 litres of stowage space in the cabin! While redesigned and more capable, the Explorer hasn’t forgotten about its Built Ford Tough roots. With engine choices ranging from the base, turbocharged 4-cylinder 2.3L EcoBoost® engine, to the 3.0L EcoBoost® V6 (producing 365 horses! ), the new Explorer has plenty of power flowing through Ford’s smooth and efficient 10-speed automatic transmission. Harnessing all that power on varied terrain will be no problem, thanks to Ford’s Terrain Management System™, offering multiple distinct driving modes. There’s still more to be unveiled regarding the all-new, 2020 Ford Explorer. So stay tuned to Port Coquitlam’s Metro Motors for all the new details regarding this rugged SUV.